Our teams focus on core competencies, supporting skills and technical capabilities to ensure our clients have freedom of choice in reaping benefits from their Data Strategies. Above all else, trust your data! Until you’ve been through the processes of engaging, cleaning, securing, and governing your data, we wouldn’t advise that you base any business decisions on it. Inaccurate decisions, based on inaccurate data, almost always result in financial and reputational damage. tdglobal helps you to gain confidence in your data, so that you can confidently make decisions you can trust. Our data services are licensed on an annual subscription basis, spanning five Pillars; Engage; Clean; Secure; Govern; Deliver. Our managed services packages leverage and maximise your existing data tools and environments. Your big data, business intelligence, data warehousing, application migration, and data management projects need quality data. Without it, the reliability of your business decisions comes into question. The data deluge is getting bigger, as businesses draw more data from more sources. But more sources mean more regulatory and compliance pressures on businesses to safeguard their information. Tapping into disparate data sources is no longer an option. It’s also no longer feasible. You should be able to integrate your data, regardless of source, into one repository. A repository that treats your data like the asset it is and lets you access your information consistently, securely, and reliably, when you need it. Only then can you uncover new revenue opportunities, comply with regulatory requirements, and deliver unrivalled customer experiences. A single, trusted view of all your customers, providing everything you need to develop targeted cross-sell and up-sell campaigns from within a single, governed platform. True data governance – quickly and cost-effectively – allowing you to control the data lifecycle and realise faster return on your investment. Digitised and automated business processes, using modern, consolidated, and integrated systems. Your data is everything. It’s your intellectual property, your competitive edge, and the pulse of your organisation. Are you giving it the protection it deserves? tdglobal's managed security services cut across physical and cloud databases, file systems, big data, and any other data environment, to guarantee the integrity, privacy, and security of your business-critical information. Support new and emerging data technologies. Your data should be easy to find and use, across your business. tdglobal’s governance managed services are designed around your people and processes, allowing everyone to find and extract value from data when they need it. Governance is about managing your data holistically and efficiently. It’s a strategy to ensure that relevant, usable data is securely available. It helps you to understand where your data is, where it comes from, how it can be leveraged and improved, and establishes policies and rules to protect it. Our data governance solutions help you to find and extract information, regardless of where it’s stored. They keep you compliant and boost your team’s productivity. Privacy and protection to easily comply with POPIA, GDPR, and other data protection laws by assessing your risk posture and securing personally identifiable information. Your data volumes grow every day. tdglobal's managed delivery services help you to synchronise and integrate your data, so you can manage this growth efficiently and cost-effectively. With the ability to capture real-time, constantly changing information across on-site and cloud data centres, tdglobal powers your event-driven business through always-available, low-latency data connections. 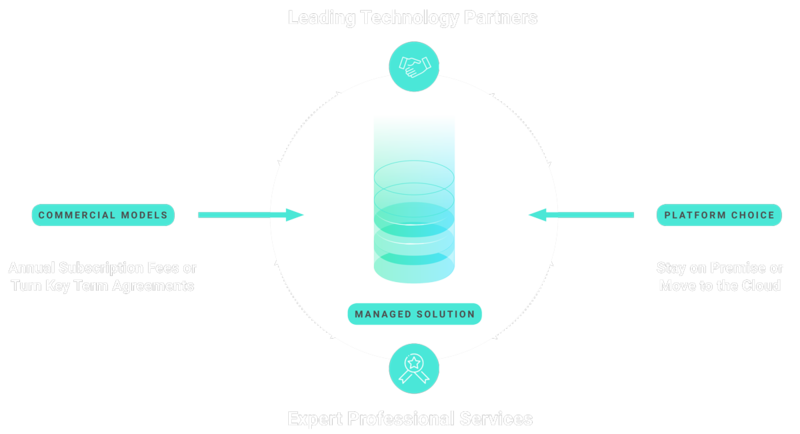 Our ability to support many different data sources, targets, and platforms across data lakes, data warehouses, and end solutions, ensure maximum return on your data investment. Streamlined SAP testing and analytics on any non-production platform. When you restructure your business around data analytics, it’s easy to transform your information into tradeable currency, revenue, or cost savings. tdglobal's data monetisation experts engage with you to analyse and improve your data assets, to help you gain new insights that drive innovation and uncover revenue channels. Our monetisation services are licensed on an annual subscription basis, spanning five Pillars; Engage, Analyze; Improve; Mobilize; Share. As with any new technology, adopting a data analytics platform requires effective change management to ensure maximum uptake and minimal resistance throughout your business. tdglobal shows your team how to effectively use analytics platforms to extract business-impacting insights. Our goal is to boost user adoption by equipping your team with the tools, skills, and frameworks they need to unlock departmental intelligence themselves and establish a long-term data culture. We give you everything you need to help your employees become data citizens, including scalable open architecture, comprehensive toolsets, and powerful analytical engines. In no time, your team will be able to compile personalised reports using self-service big data analytics. Mapping and geospatial services to empower users to create dynamic, interactive maps for use in mobile and web applications. 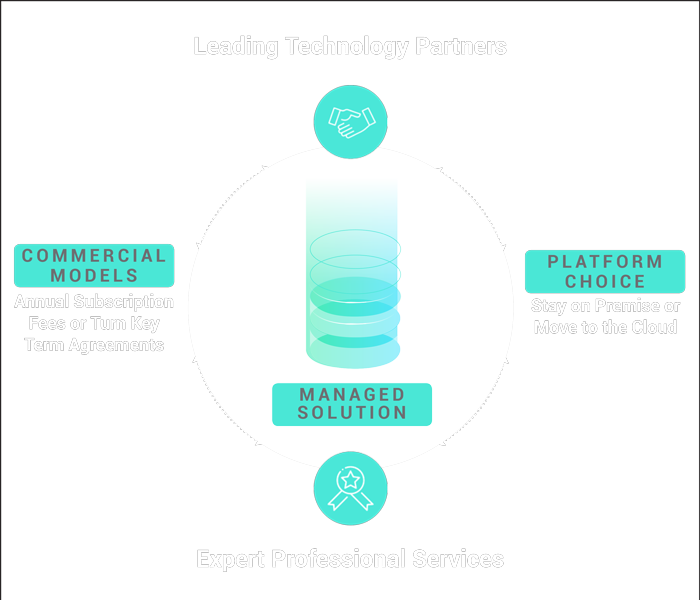 Leverage all your data investments with tdglobal’s connectors and gateways, which support most data sources and systems. Easily access your data to create powerful applications. Connect to multiple data sources when building applications, including NoSQL and cloud-based databases and big data systems, to maximise your data assets. Ditch the spreadsheets and transform your data into formats that are better suited to your data projects with our data preparation tools. Your competitive edge lies in unlocking your big data. tdglobal can help you build powerful machine learning models that help you to operationalise and monetise your data. Big data: Tap into your existing big data assets via our connectors and gateways. We support connectivity to Cloudera, MapR, Hortonworks, Google BigQuery, Presto, MongoDB, and more. Machine learning and predictive analytics: Securely build and deploy machine learning models from within our platforms. Visualise results that are easier to understand and use by all decision-makers. Operationalise data lakes: Access all your data sources from a single data lake for maximum visibility into your data assets. Having all your data in one place lets you build real-time applications that leverage sophisticated predictive analytics to get the most out of your data. Leverage in-memory GPU architecture and advanced parallel processing to analyse streaming information in real time. Get results in seconds and achieve near-linear scalability, without indexing. Run BI and AI workloads concurrently using integrated and scalable machine learning workflows. Move your workflows and workspaces to the cloud, to boost collaboration between data teams and accelerate innovation. Shift your traditional data warehouse to the cloud and start realising maximum efficiency and flexibility. Ready to start your analytics journey? Let’s go. tdglobal helps you to apply robotic process automation (RPA) to your repetitive business tasks and processes. With machines handling mundane tasks faster and more accurately than ever before, your team has more time to focus on revenue-generating opportunities. RPA has many benefits, including 24/7 operations, increased quality and output, and reduced errors and risk. Step 1: Decide. Knowing what to automate can be difficult, since every business process can benefit from RPA. We can help you decide where to start. Using our Process Mining software, we audit all your business processes and identify those that will benefit most from automation. Generally, these are processes that are routine, rules-based, high-volume, and require minimal human judgement. Step 2: Optimise. Before we automate any process, we’ll diagnose potential inefficiencies to prevent these from becoming the norm. Our Process Mining software flags anomalous transactions, deviations, potential risks, and exceptions, which we fix and optimise before handing it over to a robot. Step 3: Monitor. We observe the robot in action to identify any parts of the process that need to be corrected. By reviewing event logs, we can address inefficiencies, bottlenecks, or data quality issues early on in the process, and ensure that the robots are following their prescribed paths in executing the process. Deploy sophisticated analytics wherever, whenever. Build custom applications for any business function or role and empower your people to make informed, accurate decisions on the go, using touch-optimised dashboards and reports that give them real-time access to business intelligence. Digital, customised mobile applications that transform any business process, like sales, customer engagement, and retail operations. An extensive library of mobile development tools and kits that let you deploy apps quickly and cost-effectively. Organisations, developers, and software providers are increasingly seeing the value of integrating ecosystem partners and sharing information using application programming interfaces (APIs). APIs provide secure access to data and capabilities outside of your business’s firewall, allowing you to create new business models and data monetisation strategies that help you compete more effectively in the digital economy. Delight your customers through responsive websites, custom mobile applications, and user-friendly digital interfaces that provide better engagement and experiences. Innovate faster by leveraging existing technologies. Design your own organisational API programme and use our platform to create, assemble, manage, secure, and socialise web APIs. Use API socialisation to engage developers and drive innovation.